I realised last week that I had been blogging for 6 months now and although sometimes I've had to blog through difficult times, I've loved every minute and wanted to give something back for you lovely readers. At first I was stuck on what to give away, I love fashion and beauty, but buying something fashion related can be really tricky, and a gift card just isn't my style. I thought, why not give away products I know and love. My ears prick up as soon as I hear 'Mac' or 'Benefit' so I knew it had to include these. Strawberry is one of my favourite scents, and I love the feeling my skin gets after using cleansing water. Funnily enough, if you knew me personally, you'd know how much I hate public toilets and love to use wipes whenever I can. Makeup and skincare products are a huger love of mine, so I think this sums me up as a person pretty well. As this is my first giveaway, I'm hoping you all enjoy it! I personally love Benefit, and have a post on my Make Upper Experience if you want to see what all the fuss is about! I also have a picture on my instagram (follow in top right hand corner) of my 21st birthday gifts from mum (hi mum) too! I had a Benefit powder that lasted me about 2 1/2 years (past the use date obviously) but it was great how long the products last for; definitely worth the price. I'd like to thank the lovely Benebabe for including this as it speaks volumes about how lovely Benefit are as a company, and how loved their products are. I absolutely adore MAC lipsticks. I bought this one in 'Show Orchid' from Cohorted to put in my giveaway, as it represents things I love. For me, when I first started to go into makeup I swore I wanted to be a real life Barbie and started wearing bright pink lipstick (my first being a Miss Sporty one, bless!). Having blonde hair, people have assumed I still want to be Barbie. No I don't. But I do believe in good quality lipsticks. 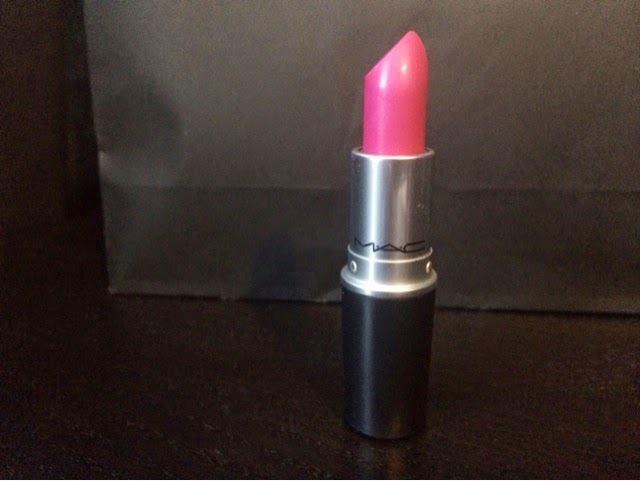 MAC lipsticks last a long time and are worth the £15.50 price tag in my opinion. Speaking of Cohorted, they kindly sent me this Strawberry trio of The Body Shop products to give away. The first is a Strawberry Body Sorbet (£8) which is a moisturiser with the gorgeous fruity smell, perfect any time of the year. The name sounds delectable, and aims to hydrate the skin for up to 24 hours. Second, we have the Strawberry Shower Gel (£4) is soap free, great for sensitive skin like mine, which also has a strawberry scent to it (in case you hadn't figured that out already). Finally, we have the Vitamin E Aqua Boost Sorbet (£12), aiming to hydrate and refresh the skin all day long. Cohorted are made up of a lovely bunch of people; Anthony, Jordan, India and Kerry. Every Monday evening at 6pm they unleash 4 requested products, whether that be a Sigma brush or a makeup palette, with a discount off for a limited period of time. You sign up to the cohort and only pay the discount price. Once the items are gone, they're gone! The people behind cohorted are genuine and really, really lovely! I get excited for every Monday now, a concept unthinkable before? We also have some makeup goodies from W7! Africa - a leopard patterned face powder that bronzes and illuminates your skin. Liberty nail polish - a gorgeous purple from the Original Collection, perfect to transition from summer to autumn. Wild Lash - black lengthening mascara. Cosmic Nail Dust in Violet - to let your nails sparkle whenever the weather! 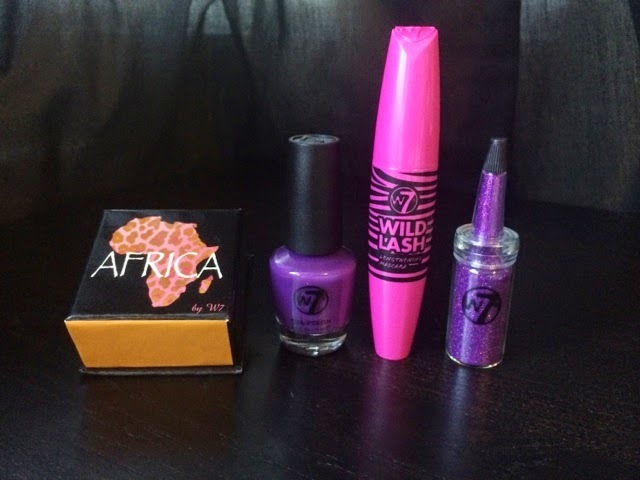 These W7 goodies add up to £17.80 and I think the Africa bronzer will look absolutely gorgeous on all skin tones! Eye Make-up Remover Pads £1.99 - comes in handy circle pads which quickly removes eyeliner, mascara etc. Toilet & Surface Wipes 99p - I can't stand public bathrooms and this makes the experience a lot more bearable! Deodorant Wipes 99p - no more sweat stains! Moist Toilet Tissue 99p - for when there are no free basins to wash your hands, or you're in a hurry, you can use these! Handy Hygienic Wipes 99p - going on a train/bus where people have put their dirty hands is horrible, so these are perfect for a quick hand wipe! 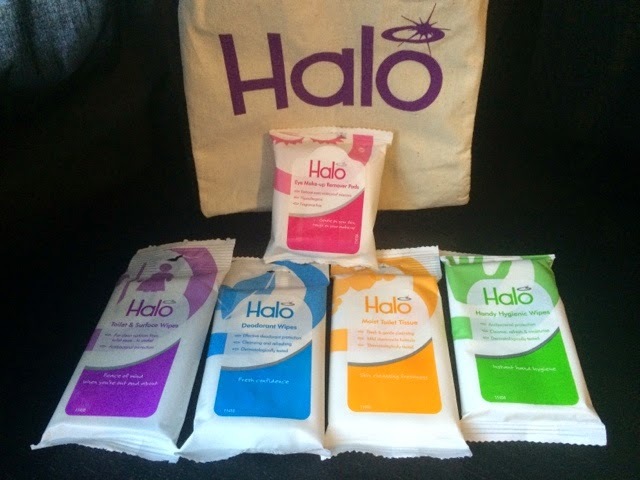 All the wipes are dermatologically tested and are in small, thin packs which makes carrying them easy! They are perfect to throw in your bag, I currently have 3 packs in mine! 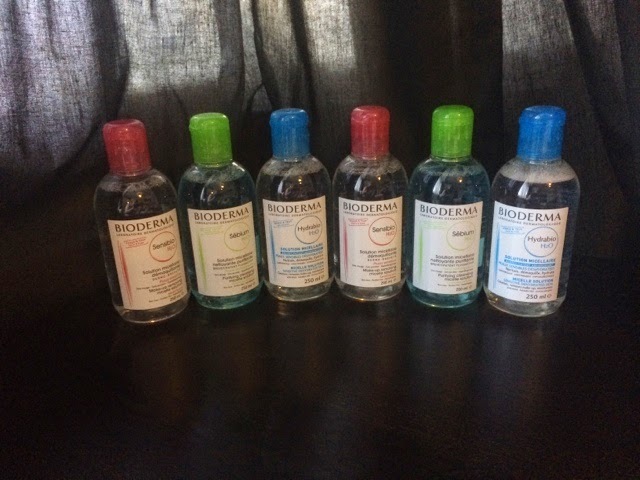 The Garden Pharmacy sent 3 sets of 2x 250ml Bioderma's to include in this giveaway! Bioderma Sebium H2O - makeup remover for acne-prone skin; combination or oily skin. Bioderma Hydrabio H2O - makeup remover for dehydrated skin, gentle to use and to regain moisture. The Garden Pharmacy sells products ranging from Elizabeth Arden to La Roche-Posay, with double loyalty points for all orders placed. They have great discounts on Decleor, Clarins, Orla Keily, Elemis and Tom Ford at the moment too! 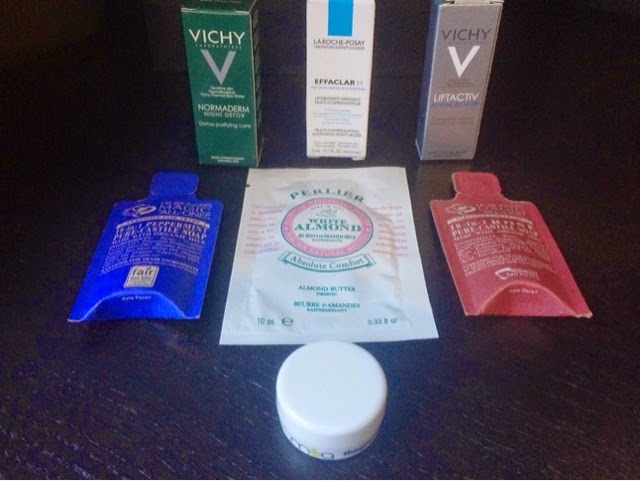 Speaking of The Garden Pharmacy they also included some samples for you to try out too, including Vichy and La Roche-Posay. I'd like to thank everyone for supporting me and my blog for the past 6 months and hope you enjoy the giveaway, it is worth nearly £150 after all! How To Enter & T&C's - The Giveaway will run from 15/08/2014 and will close on 13/09/2014 at midnight. - On the closing date, you must still be following the mandatory steps to be selected as a winner, I will be checking on Rafflecopter. If you aren't still following the mandatory steps, you will be disqualified. - The Giveaway is open to **UK Residents only** due to posting restrictions; it will cost me a fair bit of money to post this so please abide by the rules! - I will be posting the prizes within 7 working days of the closing date. I will make sure the postage is tracked so I will know when you receive it. I will not be held liable for anything damaged by the posting service, nor if anything goes missing. - All entrants under 18 need parent's permission -The winner will be chosen at random by Rafflecopter and will be notified when the giveaway ends.